Now that the 2016 is right around the corner it is time to start making some resolutions of organizing yourself a little better and being more effecient. 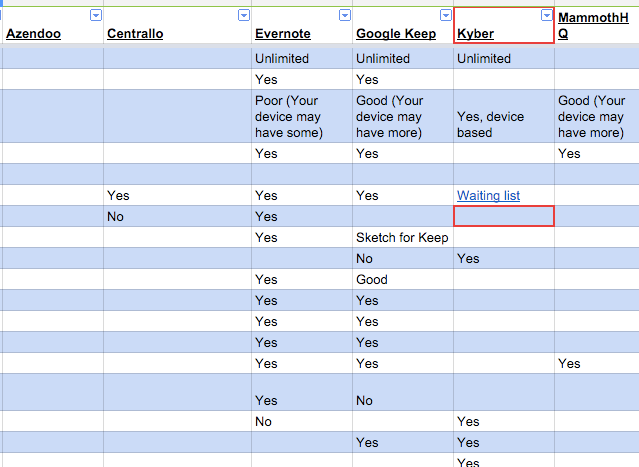 So someone out there created a To-Do list app comparison chart. Yeah, it is huge, but if you’ve never used one before, this is a good place to start. Check it out! Oh by the way, it is changing all the time, so check back periodically. This entry was posted in Helpful Tips, Patrick Cauley and tagged app, to-do. Bookmark the permalink.